Find Valve by Model No. I like to tell people that I prefer to learn from someone else’s experience rather than my own because it tends to hurt a lot less. In keeping with that, here are some things I’ve experienced with electro-hydraulics and some simple, easy solutions that will help you take some of the legwork out of developing an EH system. 1. Flashing an ECU on a Machine That’s Running . . . Choosing to design a machine with electro-hydraulic control can be a very scary decision for machine manufacturers who are more comfortable with more traditional manual controls. 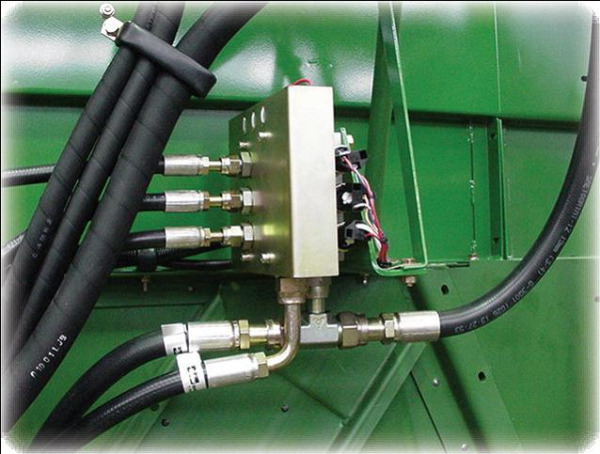 Here are five things to consider before you take the plunge to an electro-hydraulic system. 1. Consider your operators and technicians. Switching from manually operated valves to electro-hydraulics is a big step. You are, in a sense, pulling the operator one step further away from the machine. For some people, this is great and they love a color display that allows them to endlessly tweak a hydraulic system without getting soaked with oil. Others enjoy the feel and perceived reliability of a manually configured electronic device system, and find a more traditional technology, such as an analog valve driver that is easily tuned with a screwdriver and trim pots more appealing. Here at HydraForce our Technical Services department typically receives multiple question daily regarding our Proportional Valves. 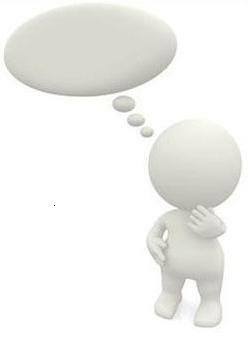 Common questions include, "What is the proper dither frequency for a particular proportional valve?' and "What coil should I use with this type of system?". Following these five simple rules when applying proportional valves will prevent field failures, reduce valve instability, and ensure that your system performs as desired without having to reach out to a tech service representative. 1. Applying dither to a valve reduces actuator friction and reduces hysteresis. A good rule of thumb is to use 70 -250 Hz dither frequency on all SP, ZL, and PV valves (flow and directional control valves), and 200-300 Hz dither frequency on TS Valves (proportional pressure control valves). Otherwise, at lower frequencies the actuator will follow the dither signal and the valve output will appear unstable. With Programmable Electronic Controls becoming more prevalent in many hydraulic systems it’s a good time to look at one alternative to Proportional Direction control made possible with the advent of electronic closed loop control. Last time we discussed how to make a flow divider with separate cartridges. If this was of interest the following goes a little deeper into this subject and shows how to maximize the versatility and address general flow divider issues. First off, it’s worth noting that unlike Flow Sharing the pump itself does not have to be load sensed if all flow is to be utilized in a stand-alone circuit. Are you looking for an alternative for your Flow Divider circuit that will address the issues of multiple division, irregular percentage splits, adjustable ratios, inlet flow variance versus accuracy and pressure drop? If so, an alternative works for dividing pump flow only. If you need combining too, you might have to stick with the traditional flow divider / combiner (or read next week’s article to see a combining solution). Flow dividing circuits are used in many mobile applications to make full use of a varying input flow. Spool type dividers can be integrated into manifolds and are available in many sizes and fixed ratios. Although they can be cascaded, they are individually limited to a 2-way split. The valve ratios (i.e. 50/50 or 20/80) are fixed and factory preset by varying each spools flow specifications. 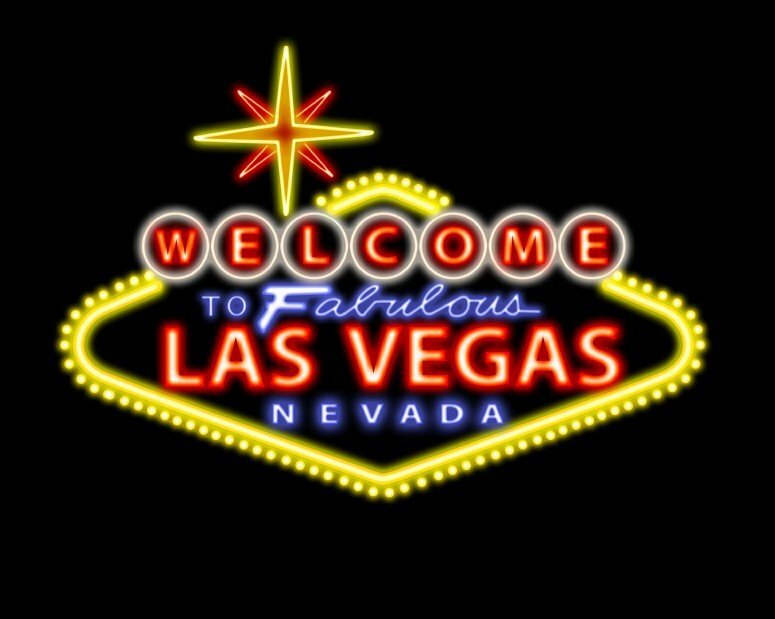 Are you headed to Las Vegas for Conexpo- Con/Agg 2011 - Con/Agg 2011? As you already know, anyone who is anyone will be at this event! HydraForce is no exception; we are located at BOOTH S-15729. After coming home from our most successful show yet, Bauma China, we are ready for IFPE 2011. We are going back to the basics with our show setup and layout. Our most successful shows have been when we highlight and focus on what we do best – innovation. Visit us at Booth S-15729 and we will be happy to show you why we are the industry leader. At the 2011 Conexpo- Con/Agg 2011 - Con/Agg 2011 HydraForce will have 5 stations set up highlighting new product developments. Did you know that even during the poor economy HydraForce continued investing in R & D? In fact, we spent the same dollar amount on R & D during 2009 and 2010 as we had in 2008, even though we all know the sales were down significantly during these years. That should speak volumes to our commitment to innovation. One of the stations will highlight our new CoreTek Controller product line. Our customers wanted controllers with an open programming interface and plenty of power for driving valves, well now you do. The CoreTek controller line uses the CoDeSys software platform, making programming simple and in your control with zero annual licensing fees! Four controllers with varying I/O configurations are available, and as your feedback dictated, the controllers are CE rated to ISO 14982. Station 2 will highlight of our new valve innovations. Maybe you already knew about our technology for combining two hydraulic functions in one cartridge. At Conexpo- Con/Agg 2011 we’ll be introducing valves with 3 functions in a single cartridge! At IFPE 2008, we introduced a handful of these cartridges and we have continued the past 3 years to develop more. These cartridges can reduce the cost of hydraulic integrated circuits, making manifolds smaller and lighter. Thanks to your help and ideas, these types of valves have really taken off in the market. So, if you are thinking about updating your machine designs, it’s time to take a look at HydraForce and these revolutionary new cartridges. We are also pleased to show off our full line of proportional valves. HydraForce is the largest supplier of proportional valves, and we continue to add products regularly. The innovation of bringing 2 functions, or some cases, 3 functions into one cartridge has migrated to our proportional line. The latest valve series is actually pulling double duty at the show. It is not only a proportional directional valve (which doubles as flow control), but also a double blocking valve with a built in load sense port and reverse flow check. These new proportional double blocking valves with built in load sense can be used to create some unique and cost effective circuit designs, which, incidentally, will be unveiled at this years show. I mentioned unique and cost effective circuits using this new valve technology, however I don’t think I want to let this cat out of the bag just yet! You will just have to come see for yourself. Let’s just say we are pretty sure HydraForce will soon be able to break into the high flow proportional directional sectional stack valve market! So if haven’t looked at, or thought of HydraForce for your proportional sectional stack valve applications, it’s time you do! The new green movement is creating a global economy where OEM’s are looking to make their equipment, faster, cheaper, and greener. More and more we see the development of smaller more compact equipment designed to do the work of older, larger, less green equipment. In order to get the power needed, system pressures are increasing and things like cylinders and actuators are getting smaller. HydraForce has seen the need for a reliable, high cycle, high-pressure cartridge valve line, and it is now in full development! The HyPerformance cartridge valve program that will consist of a full offering of our cartridge valves (we hope it will take the market by storm). These new HyPerformance valves are continuous duty rated to over 5000 PSI/350 Bar and have 10% duty cycle rating to over 6000 PSI/ 420 Bar. There are a few patent pending technologies at play here with this new series of valves. One of these patents pertains to the new solenoid tube design. Yes, even the solenoid tubes are tested and rated to these pressures. Over 90 valves are released and ready for your high-pressure application, come see this exciting new series of HyPerformance valves. In addition to all of the new products, we will have an i-Design station where you can learn how to use the tool, and learn more about the various new features of the tool. i-Design experts will be there to answer your questions and listen to your feedback. If you’d like to get a head start on using i-Design, you can download the software now by clicking here. We will also have copies of this free circuit design software on hand. Other news and note worthy information is the new and improved E-Coil that will soon be available with the ASTM B117 960 hour salt spray specification. Lastly, we have – FINALLY – created a Condensed HydraForce Catalog, one that will not dislocate your shoulder if you try to carry it in your brief case. Swing by our booth to register for your own copy. The IFPE is always a great way to re-connect and see what’s new and old (~me~). For those of you who know me, I’ve been at everyone one of these since I started here 16 years ago. As usual, I am looking forward to it: seeing some old friends and associates and hopefully meeting some new ones, so swing by and say Hi! Are You Ready to Move from On/Off to Proportional Control but your Customers Aren't? This is an ongoing battle for most of us. There is some pretty slick new technology out there that will make most equipment more efficient, safer, lighter, smaller, and even greener, but getting the end users and industries to adapt is quite another issue. One of the simplest moves in this area from a valve standpoint is moving from bang/bang or On/Off control to proportional control. I use the word “simplest” quite loosely here, so let me explain. There are still lots of industries out there where Manual Levers are KING and getting operators to move to joysticks, control panels, buttons and knobs is an uphill battle. I am not sure we will ever get away from the manual levers, but for those of you whose equipment is already electro-hydraulic, moving from on/off to proportional can be quite simple. When looking at creating custom mono-blocks or custom manifolds, we all know that quantity plays a role in the cost-effectiveness of this option. So, if you needed one manifold for on/off and one for proportional, going the custom, mono-block option is probably not feasible. For example, if the majority of your machines use on/off, while only a few select customers see the advantages of proportional, designing the machine to accommodate two different custom manifolds is just not practical. But what if you could design one custom manifold block that can be either on/off or proportional by switching out the on/off valves with the equivalent proportional valves? In other words, you could use the same manifold block for 100% of your applications even though some of those applications are on/off and some are proportional. I will review an example and discuss a little about the cost implications, but for the most part, you will see that this option is very feasible. Let’s take a sweeper application. In most cases on/off control of the brooms is sufficient and probably an industry standard, so most operators are used to it and therefore prefer it. However, having proportional broom control offers clear advantages, such as: slowing down the brooms for certain surfaces which could extend broom life, as well as having the option of controlling broom speeds for specific debris, which would improve productivity. A very cost-effective solution can be created by designing a custom manifold that uses on/off valves for the majority of users, but has the proportional option for the progressive users just by swapping out a cartridge. (Electrical scheme notwithstanding but I will discuss this later.) So, as the sweeper OEMs push to move their customers and industry to proportional, the packaging of the hydraulic valve system doesn’t have to change, keeping overall cost to a minimum. Below is a simplified version of the on/off circuit and the proportional circuit. The trick is that the port logic and cavity details must be exactly the same for both the on/off and the proportional valve. In this example, both valves use the VC12-3 cavity and both have the same port logic of open from port 1 to port 3 with port 2 blocked in the normal condition. And when energized, port 1 opens to port 2 blocking port 3 for the on/off, and proportioning flow from port 1 to port 2 while bypassing what isn’t needed to port 3. In this case, the valve hardware change is roughly $55.00 list per valve. The advantage is that the end users can upgrade their equipment with a field kit from the OEM. As the industry moves toward proportional, and the mix of machines starts to change to more proportional than on/off, the OEM doesn’t have to create a new manifold. The manifold can be preconfigured so that it has commonality of parts, which means lower development cost and service costs, usage of the custom component (manifold in this case) remains consistent, longer machine production life, and so on. Some of these conversions are pretty self explanatory, while other might be a bit confusing. Switching the SV08-20 with an SP08-20 is obvious. However, why would you switch from an SV08-33 directional selector to an EHRP08-33 proportional pressure reducing valve? In this case, these two valves would be used in conjunction with a pilot element. In our case the PD16–S67 would be piloted with the SV08-33 selector for the on/off version. If proportional directional control is needed, swapping out the PD with the PE metering element and using the EHPR proportional reducing valve will control pressure against the PE springs, which gives you the proportional movement of the metering spool. In this case the additional valve hardware cost is less then $100 list. A great feature for such a small price increase. Another thing to keep in mind when designing a custom manifold solution for either option: the coils may or may not be identical when going from the on/off to the proportional. (My pricing comments include the coil changes.) In both of my examples, the SV12 spool valve coil was changed to the 70 size coil used on the PV’s and the SV08 coil was changed to an 06 EHPR coil. You can see how planning for adequate spacing of components on the manifold is critical. Check out our free i-Design software for easy manifold customization and configuration flexibility. Depending on how your machine controllers are configured, a simple “patch’ download for proportional would cost virtually nothing. It’s hard to say where the costing for the electronics would fall. But doing your due diligence in the beginning and planning for this feature will definitely keep the costs down. Adding proportional electronics after the fact will be much more costly. There will, most likely, be some additional costs up front in terms of the controller, the software programming, and the input device, but how will that compare to your readiness when your customers and industry take the leap? Will you be ready? For more in-depth electronics discussion, contact your local HydraForce expert. A pressure compensator maintains a constant pressure drop across a metering device regardless of the load induced pressure on the function. There are only two types of compensation methods used in hydraulic flow control functions. These are pre- and post-style compensation. Pre and Post refer to the position of the pressure compensating element relative to the metering element. A pre-style pressure compensator is positioned upstream of the metering element (a proportional valve) and a post-compensator is positioned downstream of the metering element. There is also a sub-category of these, which adds load sharing (this is sometimes called flow sharing). 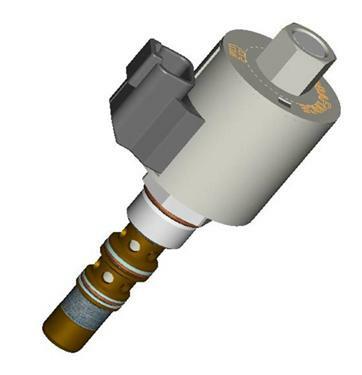 Using current cartridge valve technology, load sharing is limited to post-compensation circuits. How many times have you dialed in your Proportional Valve Driver to perfection only to find everything out of whack the next time you use the machine? If this sounds familiar, then you have probably experienced the effects of temperature-induced coil variations coupled with the use of a Voltage Controller that lacks current feedback. Although there are other factors that can cause performance variations, using the wrong driver in particular will cause major issues (if you need a little background on this subject click here). So, if you are tired of experiencing headaches over inconsistent or unrepeatable proportional function control, consider the following. Photo courtesy of Tesla Society of N.Y. The first thing to keep in mind is that you should ALWAYS use a PWM (Pulse Width Modulation) device to drive your Proportional Cartridge Valves. There are two types of PWM coil drivers: Voltage Control and Current Control (or current feedback) drivers. Both types will control the output voltage applied to the coil proportionally to the input or control signal by varying the PWM duty cycle of the output. The voltage applied across the coil with its respective resistance controls the current that generates the magnetic force needed to move the valve actuator. A voltage-only driver is an open-loop device that outputs one specific voltage for each specific input signal. Knowing that coil resistance is temperature dependant, we can conclude that the valve output with this type of driver will also be temperature dependant. Current Drivers on the other hand have the added feature of current feedback. By closing the loop on current, the controller in essence monitors coil resistance and adjusts the voltage to compensate for any changes in resistance. So, after you have run your machine hard for four hours, you may see some hydraulic performance changes but the proportional performance should remain constant. That means no more jerky fine-feathering control when the machine is cold, and no more having all your functions slow down, or dealing with a deadband increase when it warms up. The bottom line is this: unless you would be happy with the control of your machine changing with temperature, always specify valve drivers or machine controllers with current feedback on the outputs. HydraForce uses current feedback on all our valve drivers and machine controllers, but no matter who or what you use, save yourself some aspirin and make sure you use current feedback. Click Here to see the latest HydraForce News.